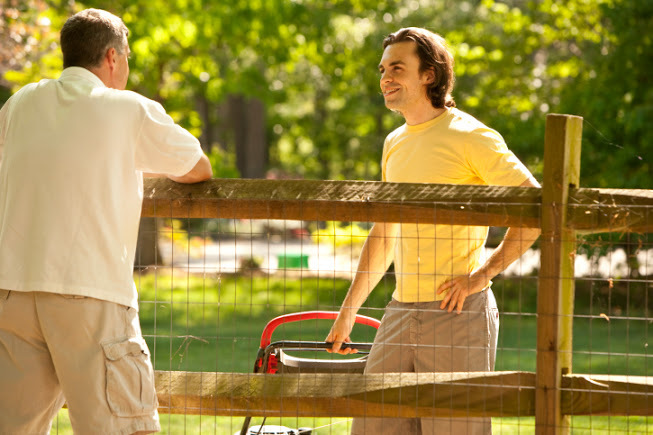 Talking to your neighbors is an important step to take before building a fence. Some people rush into DIY projects, but there are a few important things you need to keep in mind before building a fence. We’ve all heard those horror stories about DIY fence projects. From having fences collapse to getting in fights with your neighbors, there are a lot of things that can go wrong when building a fence. Listed below is what to keep in mind before you start building. If you aren’t exactly sure where your property line starts or ends, you should call a land surveyor. Even if you think you are sure, you should still call a land surveyor to double check. You want to make sure that your fence is built on your side of the property line so you don’t have to tear it down if you were wrong. Stake out your property accordingly to avoid any ugly disputes. Even if your neighbors are friendly and you have a good relationship with them, it’s always good to let your neighbors know about your plans to build a fence. Be courteous, and let your neighbors know how long the process is going to take, what additional vehicles may be in or near your driveway, and the times you plan to work on the project. Talking to your neighbors now will save you a lot of headaches and help your project get completed on time. Why are you building a fence? Are you building it for privacy? Are you building it to keep your animals in your yard? Or are you building it to keep animals out of your yard? Are you looking for a combination of privacy and security? You have to know exactly why you are building a fence so that you pick the right material. If you’re looking for extensive security, a chain link fence might not be your best option. But if you just want to keep your 20-pound dog in your yard, a fence made of chain link is all you really need. In order to not spend excessive amounts of money, explain your exact needs to a professional fence installation company. Since 1955, our professional team has designed and installed fences to meet the needs of a wide array of clients: residential, commercial, and government. We pride ourselves in installing high-quality fences at affordable prices. This entry was posted on Friday, June 3rd, 2016 at 8:37 pm. Both comments and pings are currently closed.